Journyzs is an effort of professionals from leisure tourism with a combined experience of more than 8 years, who are set to deliver the experience of travel in true spirit. While the list of destinations one can explore is never ending, journyzs currently will help you to explore India, Nepal, Tibet, Bhutan, Sri Lanka & Maldives. journyzs is an expertise with commitment. Nidhi Shukla is the Co-Founder & CEO of Journyzs (journyzs.com). Nidhi leads the company's business initiatives across continents. 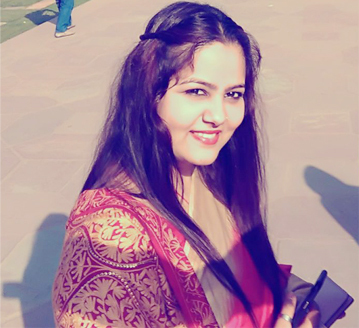 Since its (journyzs.com) successful launch in December 2017, Nidhi is leading Journyzs.com to grow with her hard work and creative ideas. Journyzs.com is the leading travel brand in the country. Nidhi holds an MCA from GGSIPU. Nidhi has over 5+ years of experience in technology industry across a wide spectrum of domains. She worked for IT Company like Wipro, IGATE, HCL as a software developer & consultant. In her auxiliary time, Nidhi loves to read adventurous blogs and travel.